My friend Lisa, who was living in Green Bay at the time, met me in Milwaukee for a girls’ weekend. Margaret Casey of Visit Milwaukee picked us up at the Hilton for our first day of tasting and touring. Our first stop was at Indulgence Chocolatiers. I wish we had a place like this in Champaign. 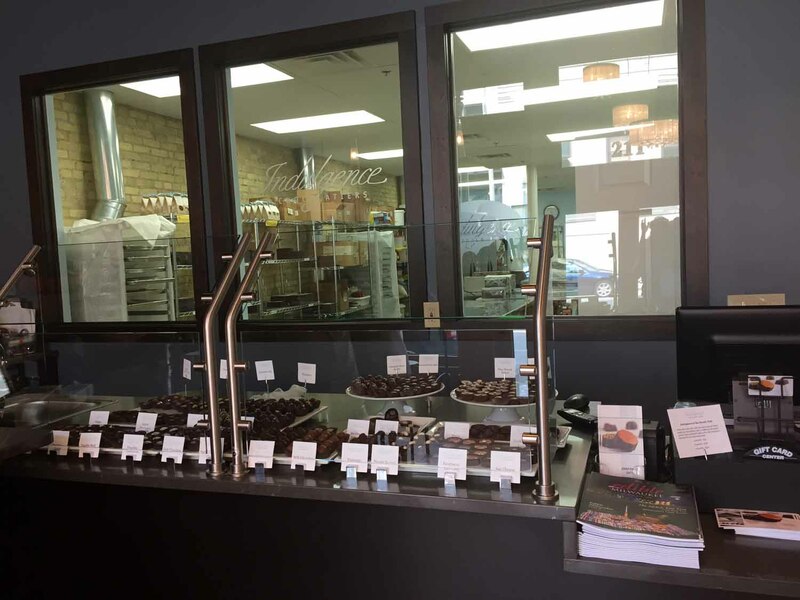 Julie, the owner of Indulgence, fell in love with the chocolate shops in Europe and decided to open one in Milwaukee. 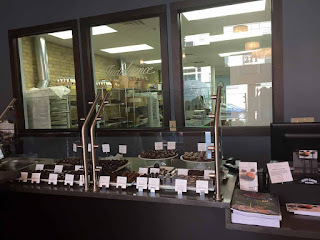 She creates a selection of chocolate truffles, barks, and bars. Then, she pairs them with your choice of white wine, red wine, beer, whiskey, or cheese. 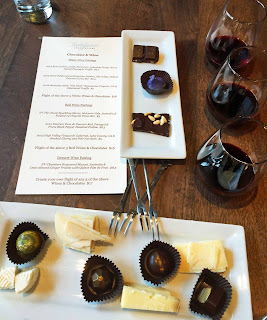 Everything sounded scrumptious and we finally settled on sharing chocolate & cheese and a chocolate and red wine pairings. It was a great choice and I loved the pairings Julie had come up with. Our favorites were: Petit Nuage cheese with a Citrus Basil Honey Truffle; Riverbend Goat’s Milk cheese with Vanilla Malt Truffle; The Chook Sparkling Shiraz from McLaren Vale, Australia with Raspberry Chipotle Pecan Bar; and a 2012 High Valley Vineyards Cabernet from Lake County with Smoked Cherry and Pine Nut Bark. 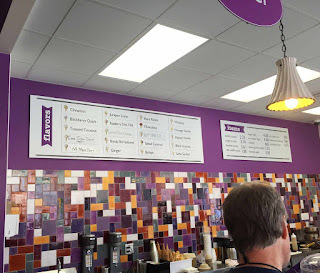 We had more than satisfied our sweet tooth when we left Indulgence, but Margaret felt we should at least make a quick stop at PurpleDoor Ice Cream next door, where we fell for their Blackberry Quark and Ginger. 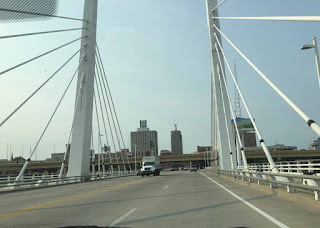 After the ice cream, Margaret drove us around Milwaukee a bit, pointing out some of the hot spots, including the LGBT clubs, historic buildings and Miller, the only major brewery left in a town once known for being a large beer producing area. We next stopped at Great Lakes Distillery. 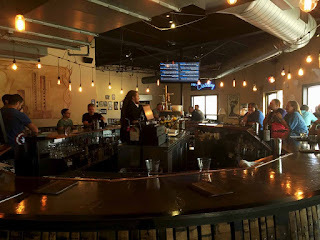 I had sampled a few of their products before, but I had never been to their distillery to sample everything and I was excited to have the opportunity. 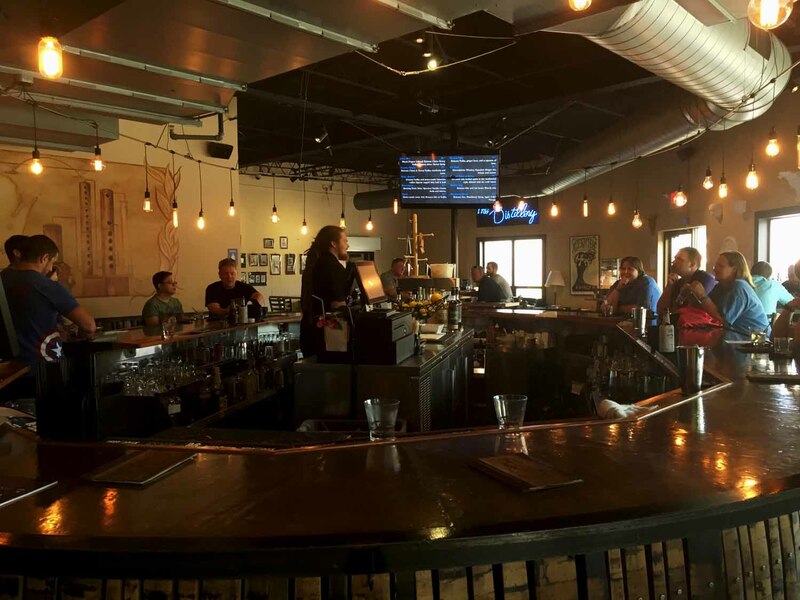 They have a full bar set up with their spirits for both tasting and mixing into cocktails. The spirits did not disappoint. 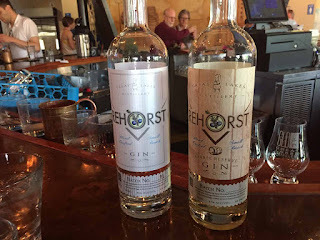 I especially liked the Rehorst Citrus & Honey Vodka, the Rehorst Premium Milwaukee Gin, and Roaring Dan’s Rum. All of the liqueurs here are made from Wisconsin products in small batches. The Pear Brandy was quite good. 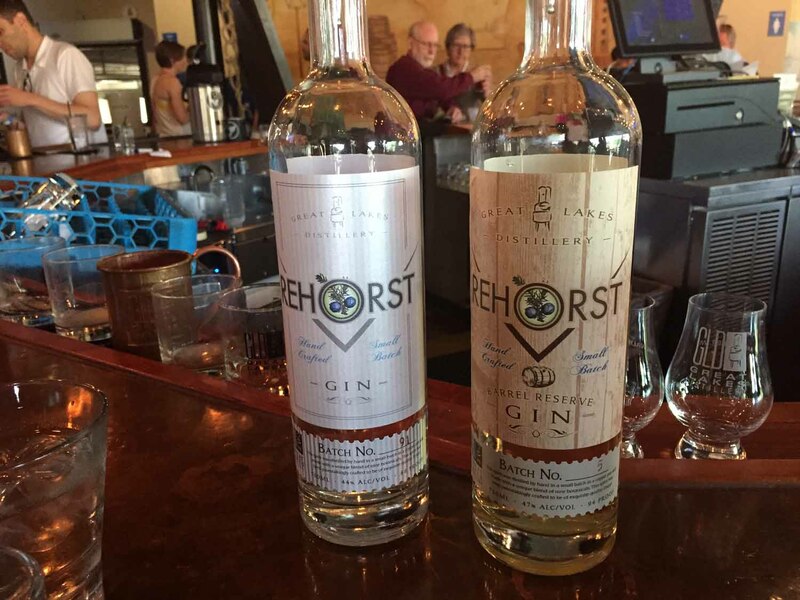 Before we left Great Lakes we met with Founder Guy Rehorst, who gave us a quick tour of the distillery. 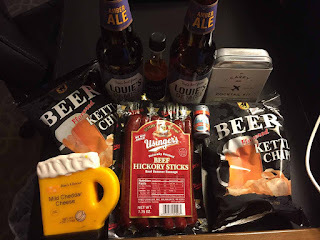 Lisa and I went back to the Hilton, where we found a gift basket of all things Milwaukee waiting for us from the tourist board. We changed for the evening and Margaret picked us up a little while later. We headed up to Wolf Peach for dinner. It was on top of a hill with a great view of Milwaukee. Wolf Peach is all about fresh and locally sourced ingredients and proudly display their vendors on their menu. 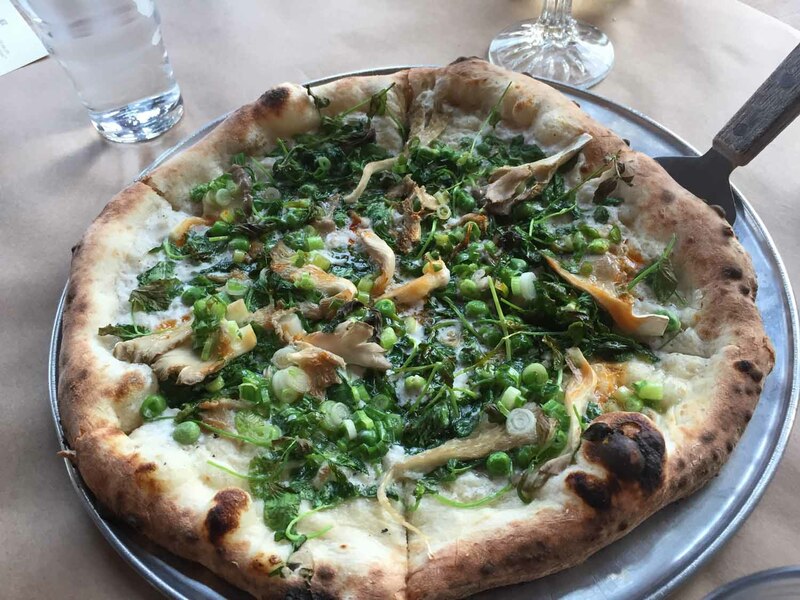 Because of this, the menu will change with what’s in season and available. While some of the menu items we had may not always be available, we did try to taste some things that appear to be standards on their menu. 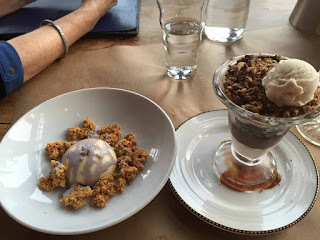 Everything sounded delicious so we each picked a dish or two and decided to share it all. 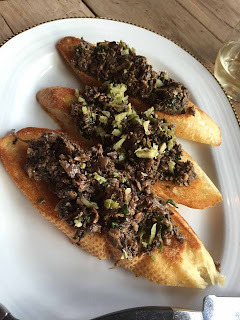 The Roasted Mushroom Bruschetta was one of my favorites. The mushrooms were meaty and flavorful. By the time the pizza – which in itself was a meal – came out we knew we had ordered too much, but it was worth it to at least taste, with goat cheese and fresh peas and mushrooms. We really didn’t plan on getting dessert, but when the chocolate parfait and lavender ice cream came out we couldn’t help but sample. We also enjoyed the Crispy Cauliflower, with chickpeas in a paprika seasoning. 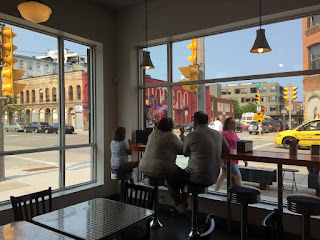 After dinner, Lisa and I headed to Summerfest for the first time. 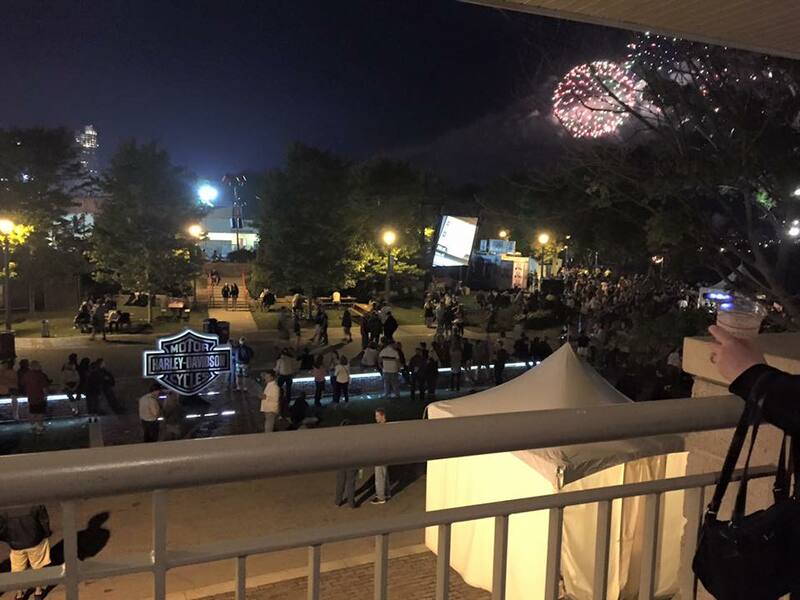 We got to hear the Doobie Brothers while sipping drinks on the Harley-Davidson VIP Deck. There were fireworks in the background and it was a pretty great setting to complete the first day in Milwaukee.